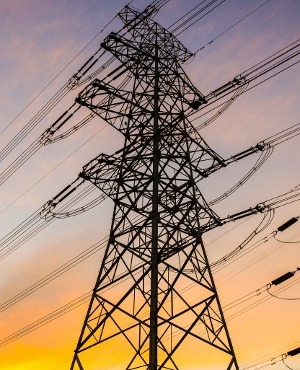 Johannesburg - Eskom’s mortgage unit may be sold after National Treasury began a pre-qualification process for bids, marking a first step in efforts by the power utility to sell assets and stabilise its financial situation. Eskom Finance has an R8.7bn loan book and about 16 000 customers, bid documents posted on a government website on Wednesday showed. The government is exploring a sale of all of the shares in the mortgage unit by way of a “competitive tender process” with the pre-qualification period scheduled to end on May 17, according to the papers. Eskom, like other state-owned companies in South Africa, provides home loans to its staff with about 38% of its employees currently holding a mortgage backed by the electricity producer. The utility is facing a financial crisis stemming from factors including weak demand, delinquent municipalities that don’t pay their bills and widespread allegations of corruption. Eskom has signed a R20bn short-term credit facility with a group of banks and is taking deeper measures such as reducing staff numbers to boost cash flow and lure back investors as debt repayments loom. Eskom’s finance company, established 28 years ago, has had a loan-loss ratio below 0.1% for the past five years, according to the tender document. More than 90% of the mortgage repayments are managed by deducting the money from the employees’ salary each month, the company said, without detailing the interest rates it charges on the loans. Since President Cyril Ramaphosa took over the leadership of the country and the African National Congress from his scandal-ridden predecessor Jacob Zuma, he’s overseen sweeping changes to the Eskom board, with the company’s new chief executive officer expected to be announced this month. Nonetheless Moody’s Investors Service downgraded the power producer’s credit rating again on March 28, citing a lack of clarity regarding its plans to stabilise its finances. While government tests the appetite for Eskom’s mortgage business, there will need to be discussions with labour unions about the disposal of the home-loans unit, Eskom spokesperson Khulu Phasiwe said by phone on Wednesday. The process is in the early stages and “whatever is going to happen about any non-core assets, that will be shared with the unions,” he said.